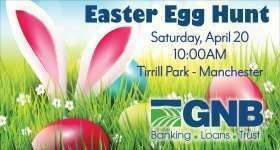 The Manchester Chamber held their annual Ag Luncheon on Thursday. 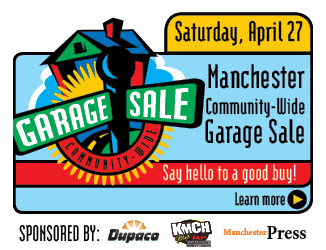 Around three hundred people attended the event at the fairgrounds pavilion, with Dr. David Kohl returning by popular demand as this year’s keynote speaker. 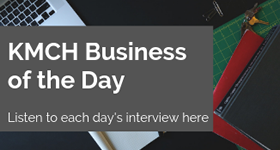 Dr. Kohl is Professor Emeritus of Agricultural Finance and Small Business Management and Entrepreneurship at Virginia Tech. He started the day with the morning session, bringing some insight into the ag economy and what he sees as trends nationally and globally. During his keynote, Dr. Kohl gave the audience a boost by talking about the top ten reasons we can be optimistic about agriculture today. 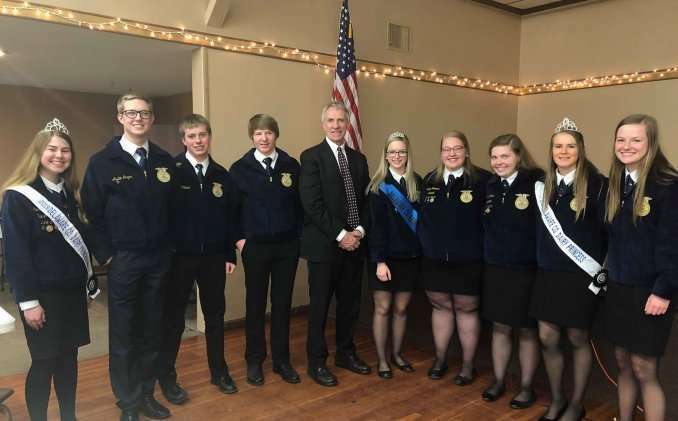 Area FFA students from four local schools had the opportunity to hear Dr. Kohl speak, with Beckman Catholic’s FFA students attending for the first time as their own chapter. In the past few years, any Beckman student interested in FFA joined the Maquoketa Valley chapter – but for the first time in school history, Beckman now has their own chapter. 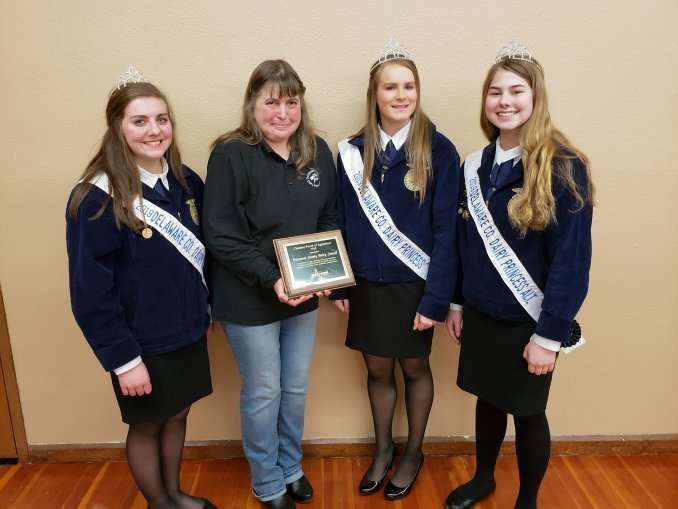 Agricultural Educator/FFA Advisor Dawn Mausser says over a hundred students in grades 7 through 12 have joined – Katelyn Goedken, Austin Jaeger and Kristi Bries are three of them. 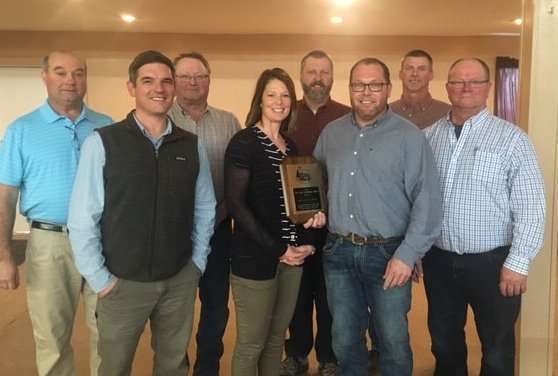 Several awards were presented at Thursday’s Ag Luncheon. 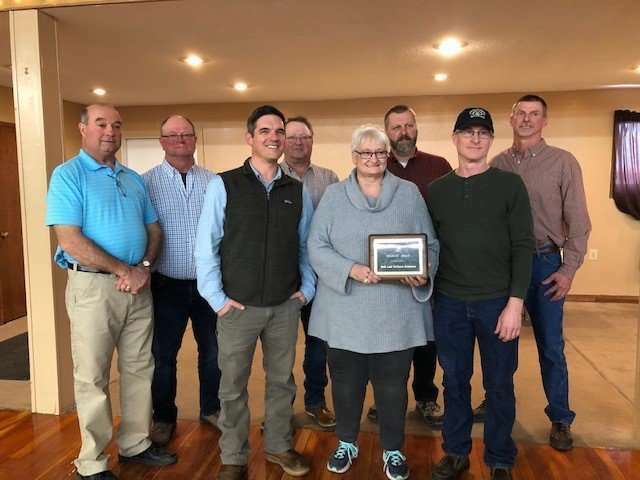 The Chamber’s Friend of Ag Award was given to the Delaware County Dairy Council. 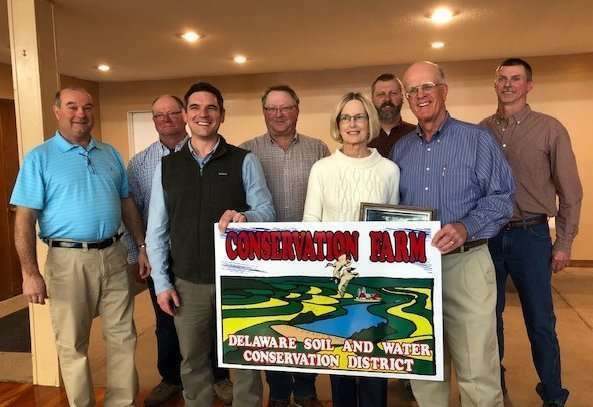 And Delaware Soil and Water Conservation gave the Don Eibey Memorial Award to Scott and Joan Funke, the Conservation Farm Award to Randy and Barb Fiddelke and the very first Wildlife Award to Rod and Colleen Johnson.